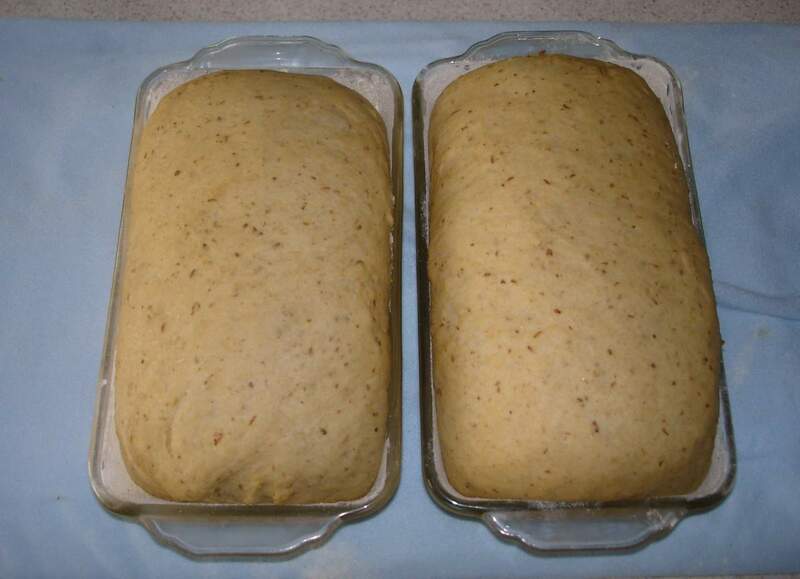 *This can make 3 loaves if using smaller/skinnier bread pans, may need to reduce bake time if so. Mix these ingredients well until all the milk powder and yeast are completely mixed in. 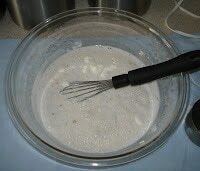 (I like to use a whisk). 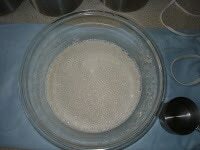 Set the bowl on an electric heating pad that is turned on to the medium or high setting and let it rest for 15 minutes. I like to add the first 5 cups all at once and then gradually add the rest. It usually takes 7 & ½ cups for me. 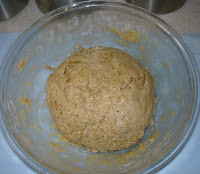 Knead this until all the flour is mixed in properly. Then add oil to your bowl, I use Safflower, and grease up the sides of the bowl. 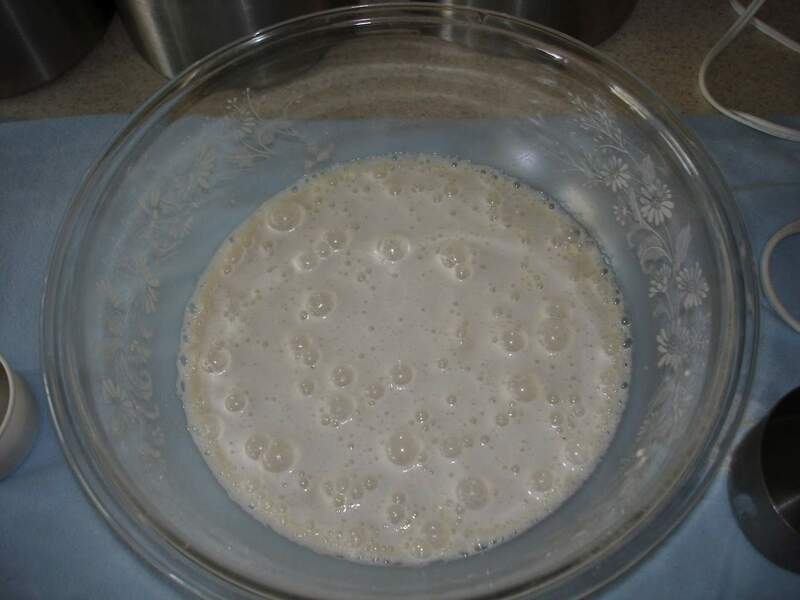 Create your dough ball and make sure that it gets a fair amount of oil on it. 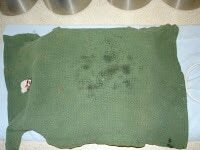 Place the bowl back on the heating pad, cover with a clean dish towel and let raise for 20-30 minutes. 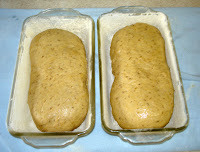 While I’m waiting for the dough to rise I get out two glass loaf pans and grease and flour them. Once the timer goes off I punch down the dough ball, divide it into two separate balls (as evenly as I can), grease a clean counter top and roll the balls into loaves. 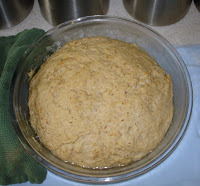 Place the shaped dough in the prepared bread pans. 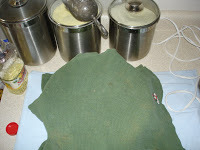 Place the bread pans on the heating pad and cover for 30 minutes or so, they need to double. This is when I preheat my oven to 375°F. When the 30 minutes is up, or the dough has doubled, I put the pans in the oven for 20-25 minutes (It should be fairly hard to the touch when done). 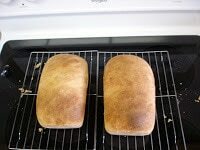 Remove the pans from the oven and immediately remove the loaves and let them cool on a cooling rack. And there you have it. 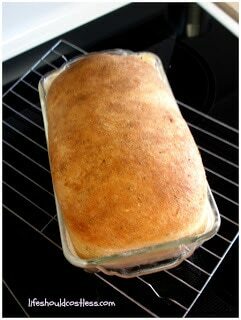 Healthy, delicious sandwich bread just ready to slice. 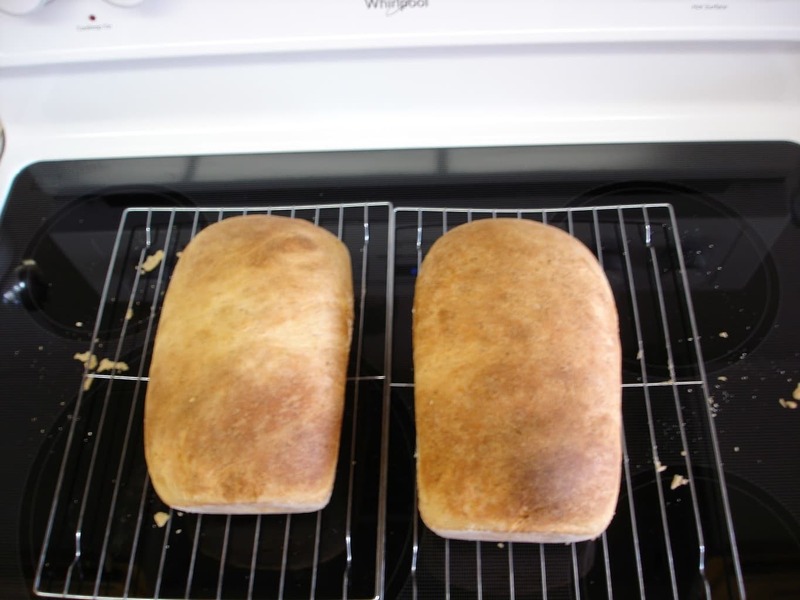 I store my cooled loaves in gallon Ziploc bags and it stays nice and yummy for 5-7 days. 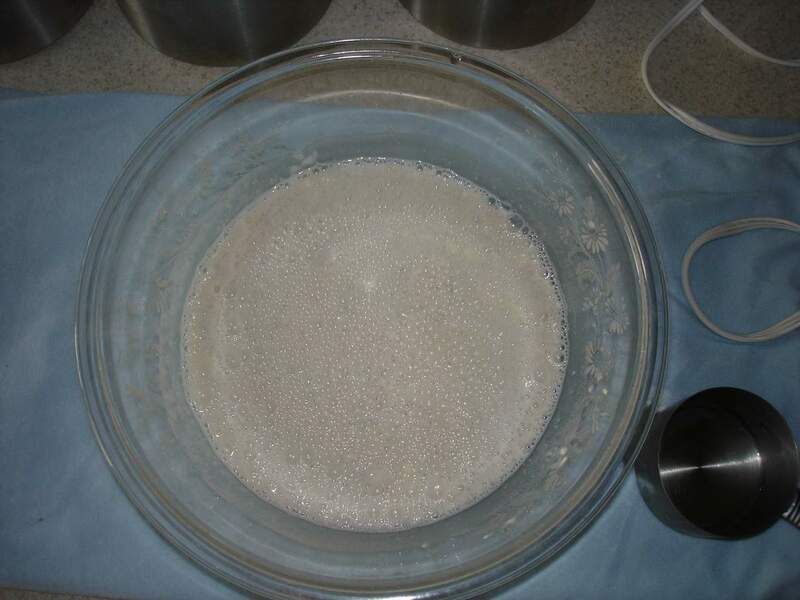 Use a whisk to break up the balls of yeast and powdered milk. What it should look like after whisking all the ingredients together. This is how it should look after the 15 minutes it has been resting. How it should look once all the flour is mixed in, ready to become a dough ball. 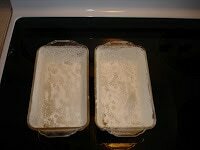 While it’s rising I like to grease and flour my loaf pans. 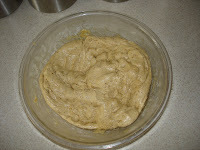 This is after a 30 minute rise. 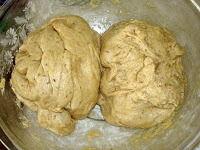 Divide into two dough balls. Form into loaves on a clean, greased flat surface. Place into loaf pans. Loaf pans set back on the heating pad. Loaves are covered and let raise. What they should look like after they have risen. *I use a King Size Heating Pad which is wonderful! It’s the kind that is long enough to cover your whole back. It should be able to fit four loaf pans on at a time. 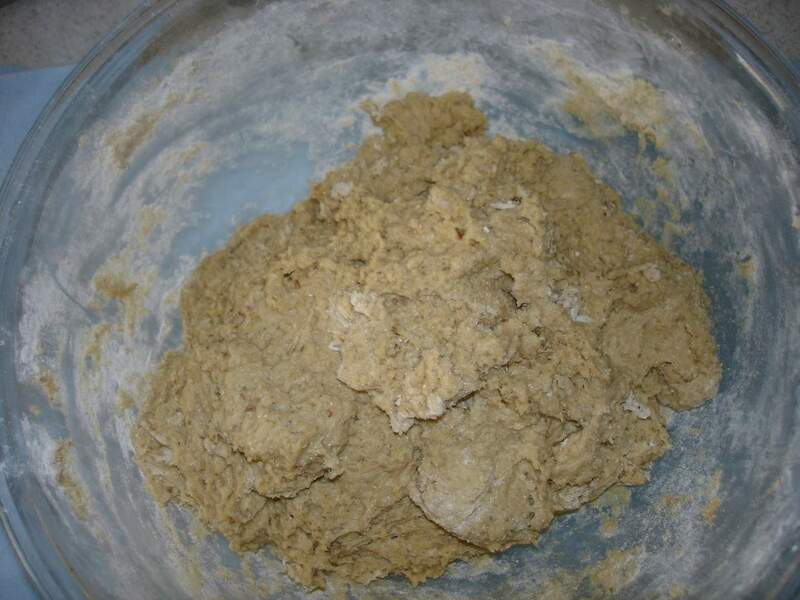 I saw the idea for using a heating pad to help your dough rise faster here and it really speeds the process along.